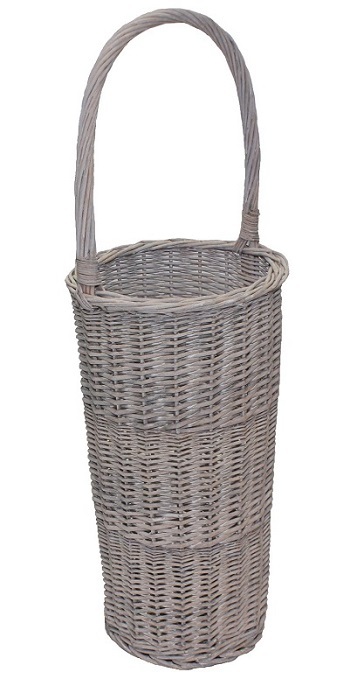 Traditional styled wicker umbrella stand with built in carry handle. Perfect for storing umbrellas and walking canes. Available in three colours: Grey, Natural and White. 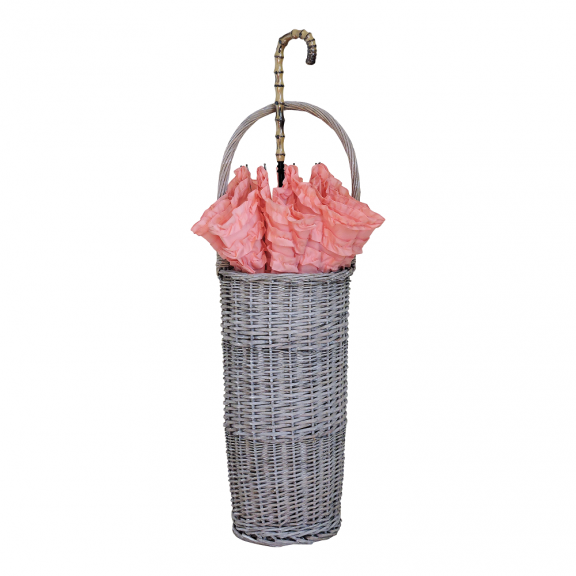 Brand new to Umbrella Heaven a traditional wicker umbrella stand. This beautiful stand is available in a choice of 3 stylish colours. Natural, Washed Grey and White. 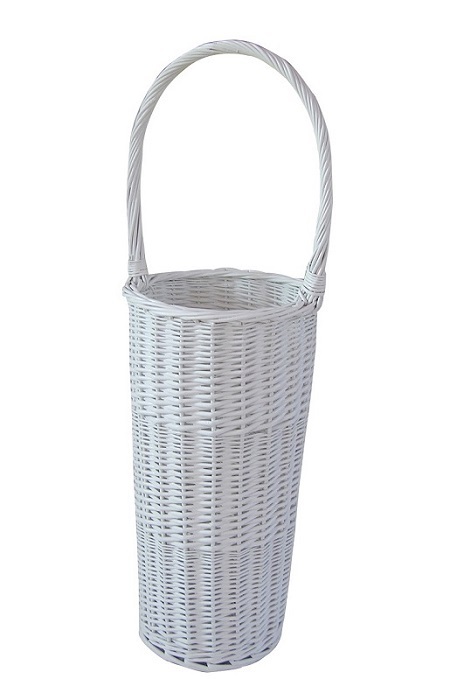 We are very excited to be adding these lovely wicker umbrella stands to our range. 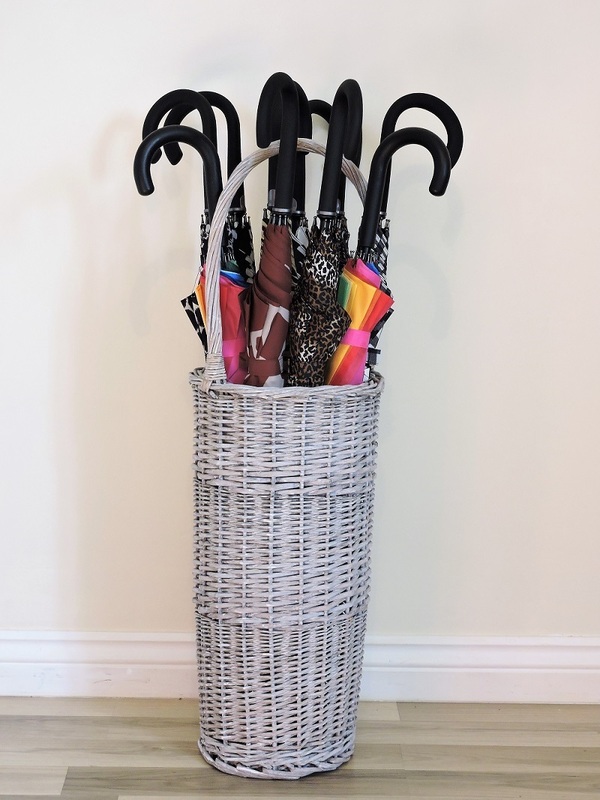 If you are an umbrella lover like us, then where, and how to store / display your beautiful brollies is always a dilemma. We think these brand new wicker umbrella stands will do just the job. 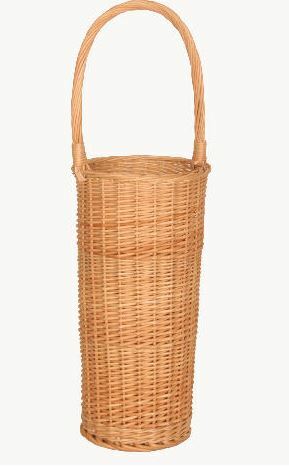 Standing at 80 cm tall and with a basket depth of 52 cm these rustic baskets will easily hold 12 or more walking umbrellas. They have an integral handle making them easy to move around. We’ve tested them and found them to be nice and robust so small children and dogs flying past will not knock them over. There has never been a more stylish way to display your umbrellas and walking sticks. Once you have the wicker umbrella stand you might even want to add to your collection of umbrellas! These rustic beauties also make a great wedding venue (or other outdoor event) accessory. 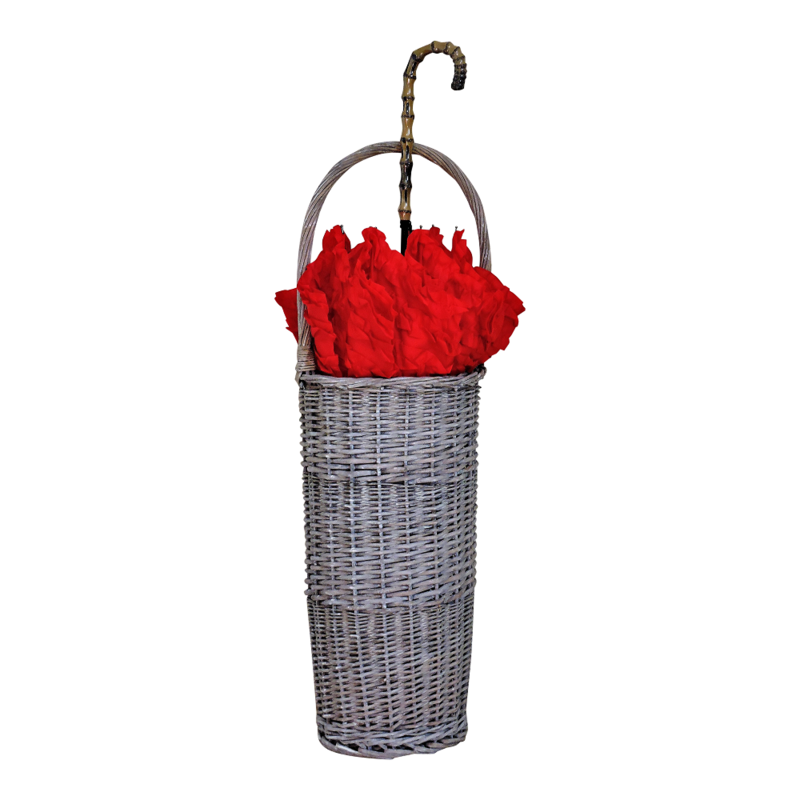 Fill them up with appropriately coloured umbrellas and you’ll have a stylish and practical event decoration that will impress your guests and protect their outfits. If this style is not what you are looking for, why not take a look at the other stands we offer? Just click here.